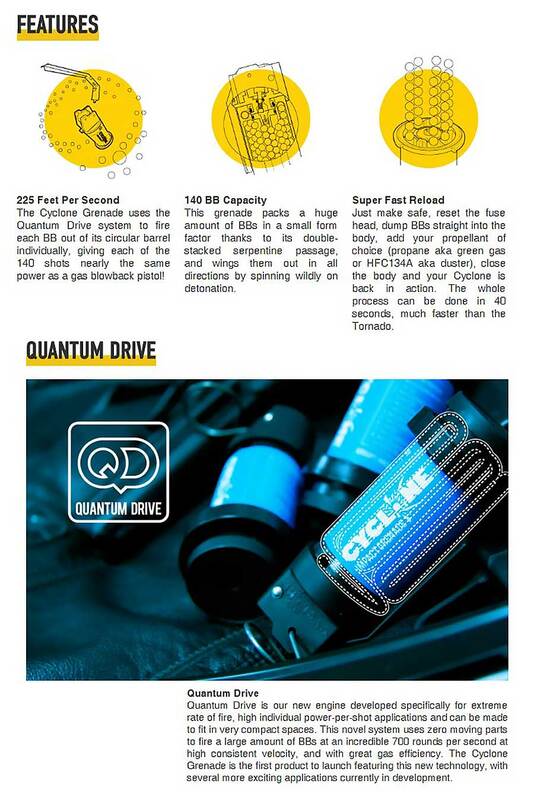 The Airsoft Innovation Cyclone Impact Grenade is lighter, more powerful and holds more BBs than its previous model, while maintaining a lower price point. The Cyclone utilizes impact ignition which removes delay entirely allowing the operator to simply throw the device for immediate effect on contact. This impact design is perfectly suited for offensive uses by creating a convenient quick-draw force multiplier. On impact, the grenade spins firing approximately 140 bb's in every direction. The Cyclone design maintains the robustness and reliability of a well greased version 3 gearbox, ensuring destruction for the opfor.